Restraining orders—which are also referred to as protection orders and no-contact orders—prohibit contact between individuals when one person is believed to be at risk for harm from another. 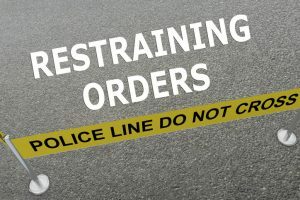 A restraining order, also known as a protection order, prohibits contact between individuals when one person is believed to be at risk for harm from another. Restraining orders can be sought by someone who feels that he or she needs protection, but they can also be contested if a person believes a protection order has been filed unjustly. If you’re seeking a restraining order, desire to fight a protection order filed by another, or are accused of violating a restraining order, the Denver lawyers at Wolf Law are here to help. Call our experienced Colorado criminal law attorneys today at 720-479-8574 or contact us online to arrange your free consultation. The short answer is no; anyone can file for a protection order. However, it can be advantageous to work with a lawyer who has specific experience with restraining orders. A knowledgeable attorney understands the details necessary to obtain a protection order. Legal representation for gaining a protection order may be especially beneficial if children are involved, or if the other party has already hired an attorney to secure or fight a restraining order. Protection orders may be temporary or permanent. Victims of abuse, assault or domestic violence are granted immediate protection; the terms and duration of no-contact orders in those situations is determined by a judge based on the circumstances of the crime and the criminal background of the accused. A crime does not have to be committed in order for a restraining order to be issued. If you feel threatened, or if you believe harm is likely to occur, filing for a temporary restraining order (TRO) is a good first step. A crime does not have to be committed for a restraining order to be issued. 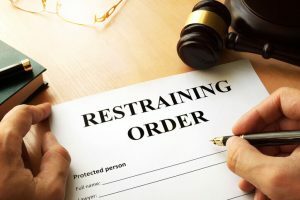 The person filing a restraining order is called the petitioner; the person being prohibited from contact is referred to as the respondent or defendant. Petitioners can obtain a TRO during regular business hours at the county court by filing a complaint and related documents. Often a judge will hear the complaint and issue the TRO on the same day. If court is not in session, local law enforcement agencies have procedures a petitioner can use to obtain an emergency protection order. A temporary restraining order stipulates a specific distance the defendant must maintain from the petitioner’s home, work, child’s daycare, school, etc. To activate a TRO, the defendant must be served with Proof of Service documentation. Temporary restraining orders last up to 14 days and will effectively restrict contact between the petitioner and the defendant. However, this order is not permanent—a permanent hearing will determine if the order should extend in perpetuity. The permanent hearing is critical if the petitioner wants to make the order endure. At the permanent hearing, additional evidence may be submitted, testimony from both the petitioner and the defendant may be heard, and child safety will be considered as applicable. For example, if the petitioner has children with the defendant, the hearing could establish rules for contact with the children. To obtain a permanent restraining order, the petitioner must testify that the defendant hurt or threatened to hurt the petitioner, and that the petitioner is in imminent danger of further harm if the order is not issued. The defendant’s presence is requested at the permanent hearing; if he or she doesn’t show, the judge will likely allow the protection order to become permanent. Once a temporary restraining order is obtained by the petitioner and served to the defendant, the defendant has little recourse until the permanent hearing. 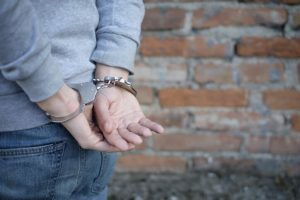 If a defendant doesn’t agree with all or parts of a temporary restraining order, it is in their best interest to appear in court and argue their case. A permanent protection order can have long-term consequences if the defendant chooses to ignore the hearing or does not present a sound case to the judge. Child visitation may be restricted and Second Amendment limitations may be enforced, and a defendant could even be prohibited from continuing to live in the family home. Permanent protection orders will also show up in background checks and may adversely affect a defendant’s ability to find employment or housing. Again, a defendant is not obligated to attend a permanent hearing. But judges often approve permanent protection orders when defendants don’t show up. A person who violates a restraining order may face fines, jail time or both. Violating a restraining order is a crime in Colorado. Police must have “probable cause” to believe the defendant violated the order before they can make an arrest. The criminal process begins after the arrest. A person faced with a restraining order violation may be subject to fines, jail time, or both. A protection order violation may be charged as a misdemeanor or a felony, depending on the circumstances. Charges may be compounded if another crime occurs in conjunction with the restraining order violation. The Denver criminal law attorneys at Wolf Law have extensive experience helping clients successfully file restraining orders, dispute unjust protection orders, and defend against protection order violations. Our lawyers recognize the serious and potentially life-changing impacts of protection orders. If you’re considering obtaining or fighting a protection order, or if you’ve been charged with violating a protection order, it’s a good idea to consult with an attorney who can help you understand the gravity of the situation as well as your legal options. Please call Wolf Law today at 720-479-8574 or contact us online for your free consultation. We welcome clients from the greater Denver area and throughout Colorado.